A cyclone is any mass of air that spirals around a low pressure center. It is an organized collection of thunderstorms embedded in a swirling mass of air. 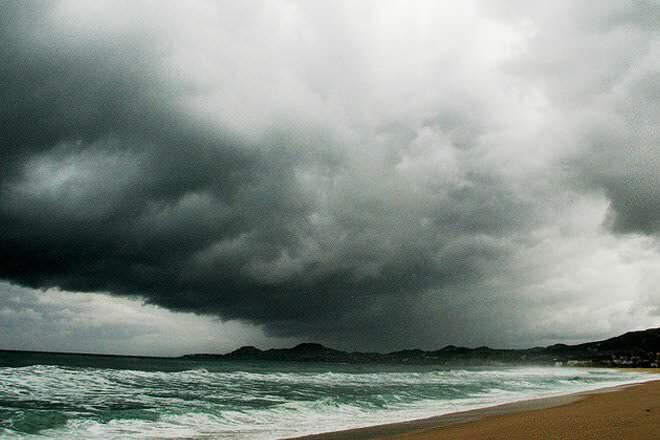 In general, both typhoons and hurricanes are tropical cyclones but differ in their locations. The difference between hurricane and typhoon is that tropical cyclones in the west Pacific are called Typhoons and those in the Atlantic and east Pacific Ocean are called Hurricanes. It's the longitude that matters. A hurricane is a cyclone that is located in the North Atlantic Ocean, or the NE Pacific Ocean east of the International Date Line, or the South Pacific Ocean east of 160E, and with sustained winds that reach or exceed 74 mph. Tropical cyclones in the Northwest Pacific Ocean west of the International Date Line with sustained winds of (or those that exceed) 74 mph are typhoons. Caribbean Sea South East Asia, China Sea etc. A tropical cyclone is one in which the maximum sustained surface wind (using the U.S. 1-minute average) is generally 64 kt (74 mph or 119 km/hr) or more. The term hurricane is used for Northern Hemisphere tropical cyclones east of the International Date Lineto the Greenwich Meridian. The term typhoon is used for Pacific tropical cyclones north of the Equator west of the International Date Line i.e. between 100E and 180E in the northern hemisphere. 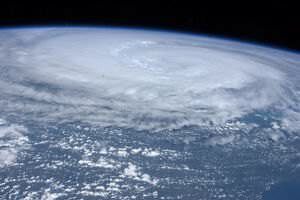 Typhoons are generally stronger than hurricanes. This is because of warmer water in the western Pacific which creates better conditions for development of a storm. This unlimited amount of warm water also makes for increased frequency of typhoons. Even the wind intensity in a typhoon is stronger than that of a hurricane but they cause comparatively lesser loss due to their location. However, both use the Saffir-Simpson Hurricane Wind Scale for classification. Some reports also suggest that typhoons can only be counterclockwise ("anti-clockwise" in British English) while hurricanes can be both anti-clockwise and clockwise. Figures suggest the most common area for a Hurricane to occur is the Caribbean Sea while typhoons have a frequent occurrence off the coast of South East Asia. Hurricanes are classified into 5 intensity categories using the Saffir-Simpson scale. Category 1 hurricanes cause minimal damage, category 2 cause moderate damage, category 3 cause extensive damage, category 4 hurricanes cause extreme damage, and category 5 hurricanes cause catastrophic damage. Some commonly occurring hurricanes and typhoons have been named to categorize them. The names of Hurricanes are given each year. 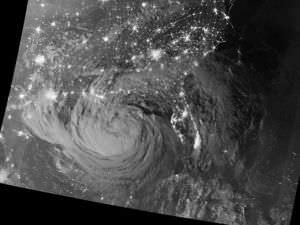 A few hurricanes named in the Atlantic in 2007 are Andrea, Barry and Dean. 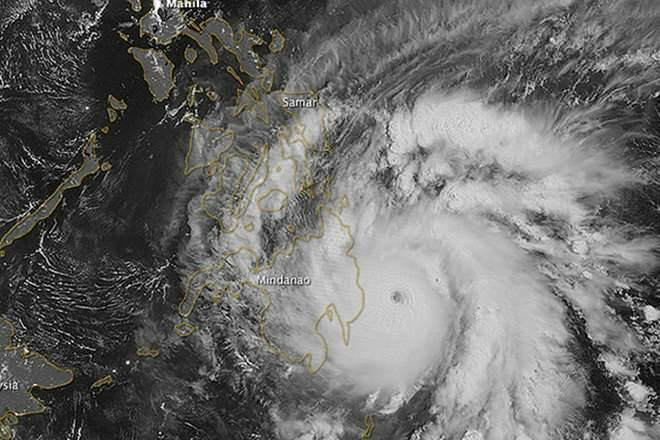 Some Typhoons named in the Western North Pacific and the South China Sea are Damrey, Langwang and Kirogi. Typhoons in the Chinese and Japanese regions are named after living things and often objects like flowers, rivers etc. Check out every hurricane name since 1950. Heck, I've known this for years. Just had to see what the bloomin computer would actually say! Excellent! I have wondered about the distinction between the two for years. Finally googled it, this was the first site and here isnthe answer. Thanks! Funny thing that I heard that differently. Typhoon as in "winds of Taiwan" in chinese. Ty+phoon. 1992 Hurricane Andrew was crazy , scariest days of my life . Lotta love for Florida and City of Homestead for bouncing back from that tragedy ! Had to chuckle at the anonymous commenter who said that the "tai" (not "ty" which is just the English spelling of the word) of typhoon (tai-fu in Japanese) means "great," as in his "great wind." The tai of taifu is a completely different character. The "tai" of taifu is 台 (flat), whereas the tai for "great" is (大). Both Chinese and Japanese use the character 台 in the word taifu (English spelling typhoon). So, it does NOT mean "great wind at all. A little knowledge is a dangerous thing.